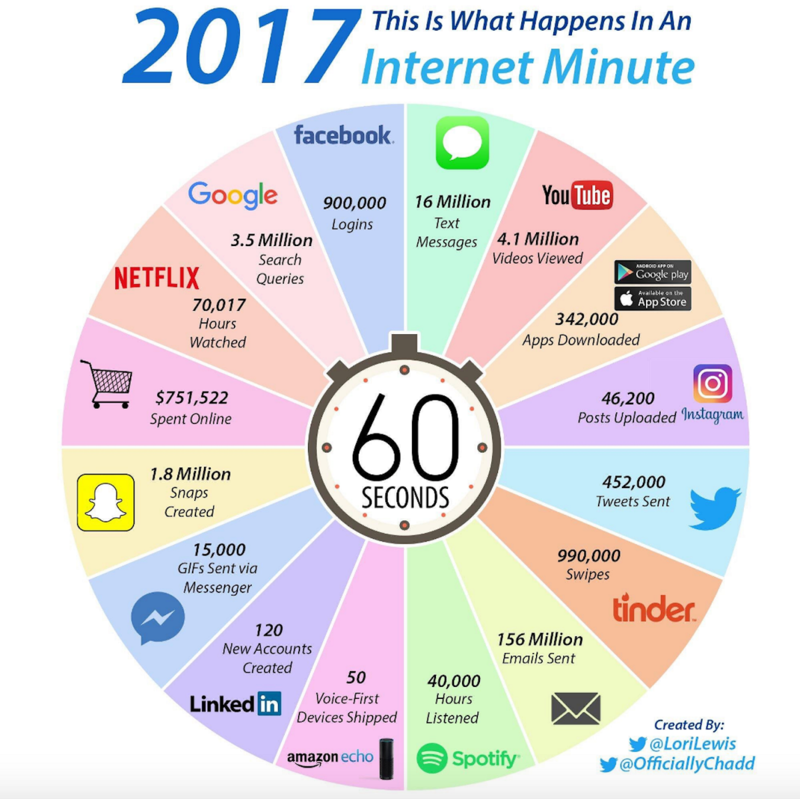 This is What Happens in an Internet Minute in 2017 #Infographic ~ Visualistan '+g+"
Just two months ago, it was revealed that Facebook has more than two billion active monthly users. 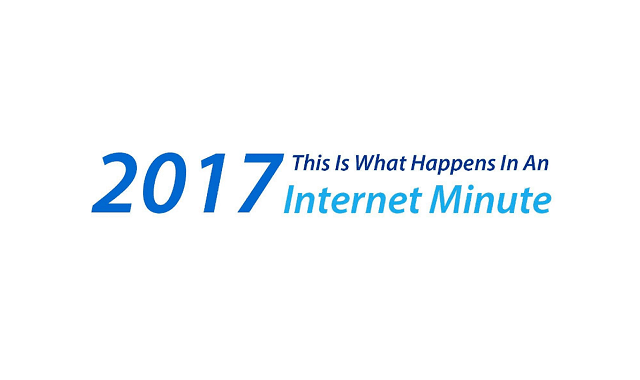 That means that in any given month, more than 25% of Earth’s population logs in to their Facebook account at least once. This kind of scale is almost impossible to grasp. Here’s one attempt to put it in perspective: imagine Yankee Stadium’s seats packed with 50,000 people, and multiply this by a factor of 40,000. That’s about how many different people log into Facebook every month worldwide.